I just learned that Bernie Mac died this morning. For more details CLICK HERE. Having lived in Chicago all my life and being a writer for Upscale Magazine, Chicago Jazz Weekly, UPI wire service and others, I had the opportunity to meet Bernie Mac on a few occasions and he was always very nice, very humble and he did Chicago proud. I remember that he would often perform at Open Mike night at the Cotton Club at 18th and Michigan Ave. and he, along with R. Kelly would be the highlights of the night. I am so glad that he achieved his dreams by going on to make it big. Bernie you will be missed. My thoughts and prayers go out to your family and friends. 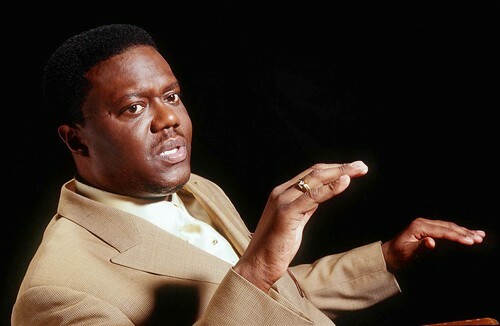 “King of Comedy” Bernie Mac has been hospitalized in Chicago for pneumonia, his publicist said Friday. “He’s doing great and hopes to get out soon,” Smith said.